Provide comfort for the family of Henry Raymond with a meaningful gesture of sympathy. On January 28, 2019, at the McClure Miller Respite Home, Henry Andrew Raymond of Fairfax passed away surrounded by his loving family. 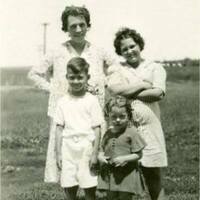 Henry was the husband of the late Maryann (Hoben), father of Lynn Raymond-Empey (Michael) of Bellows Falls VT; Sharon Raymond of Hampton NH; Mary Kay Raymond of Fairfax VT; and Cory Bolio (Sylvia) of Wade NC. Grandfather of Henry Empey (Abby Wesikopf) of Fayetteville NC; and Samuel Empey of Somerville MA. 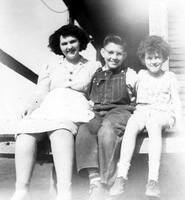 Henry was born in 1933 to the late Edos J., and Mary A. (Bedard) Raymond in Fairfield VT. Henry grew up on his parents’ farm on Fairfield Ridge with his late sister Agnes (Raymond), and sister Theresa Raymond of St Albans VT who survives him. Henry is also survived by his Aunt Florence Blair of Alburgh, and numerous cousins, nieces and nephews. Henry graduated from St Marys’ High School in St Albans in 1950. In 1957 Henry went to work at the new IBM plant in Essex Junction VT, he retired as a manager from the plant in 1992. He married Maryann Hoben a Buck Hollow girl, at St Lukes in September 1960. Henry enjoyed many years of retirement with Maryann, looking after their extended family especially their 2 grandsons. He enjoyed volunteering, gardening, local history, and genealogy. 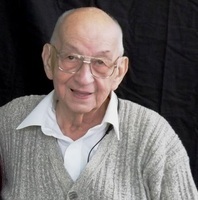 Henry loved his community of Fairfax very much, and spent extensive hours computerizing the town birth, marriage, and death records when he first retired. He was often contacted by people from around the world looking for Fairfax genealogic information. Henry started and administered a number of electronic bulletin boards for the community under his screen personae VTGRANDPA. Henry was recognized for his efforts in a resolution of the Vermont Legislature 2007-2008 session R-315. HOUSE CONCURRENT RESOLUTION HONORING HENRY ANDREW RAYMOND FOR HIS TIRELESS COMMUNITY SERVICE IN THE TOWN OF FAIRFAX. Henry was a longtime communicant at St Luke’s parish in Fairfax, and a Knight of Columbus. He was also a longtime Justice of the Peace and loved to spend voting days checking folks in at the polls, largely so he could catch up with old friends and meet new people moving into town. He looked forward to Town meeting days, Senior luncheons, and attending various church dinners, fairs, socials, or any other event where homemade pie was likely to be available (of course Cabot Cheddar cheese or a good homemade donut would work too). He was usually accompanied by his youngest daughter Mary Kay who lovingly served as his primary caregiver in his final years. Funeral arrangements are being handled by A.W. Rich Funeral Home of Fairfax, VT. Viewing hours will be 4-7 PM Friday Feb 1st. A Mass of Christian Burial will be celebrated at St Luke’s Catholic Church 11 AM Saturday Feb 2nd, reception to follow at the church hall. Burial will be in the spring at the family’s convenience. Donations in Henry’s memory may be made to the Fairfax VT Rescue Squad P.O. Box 428, Fairfax, VT 05454 http://www.fairfaxrescue.org/home or the McClure Miller Respite Home sent to Development Office, UVM Health Network Home Health & Hospice of Chittenden & Grand Isle Counties, 1110 Prim Road, Colchester, VT 05446. (Include that you want donation directed to McClure Miller Respite House) https://www.uvmhomehealth.org/donations/. Please visit www.awrfh.com to share your memories and condolences. A Mass of Christian Burial will be celebrated at St Luke’s Catholic Church 11 AM Saturday Feb 2nd, reception to follow at the church hall. Burial will be in the spring at the family’s convenience. We didn't know Henry, personally, but came to know him through VTGRAMPA and Facebook! We lived in Fairfax, VT, too and worked at IBM! He kept us updated on things in Fairfax! Loved his stories! I'll miss that! I know he was a treasure to Fairfax history! I know he will be missed by many: coworkers, friends, family and acquaintances! RIP, Mr Raymond, with our deepest condolences! To the Raymond family, it is with great sorrow that I hear of your loss. I want you to know that your dad was loved and respected by all. He was a teacher. He taught me so very much. Always enjoyed seeing Henry with his friendly smile and hearty hello. He was a generous person sharing his talents and expertise with individuals and the community. A hard worker who always spoke his mind and was true to his beliefs.